Today I’m delighted to welcome the Rev. Cathy George for the latest in the How We Spend Our Time series! 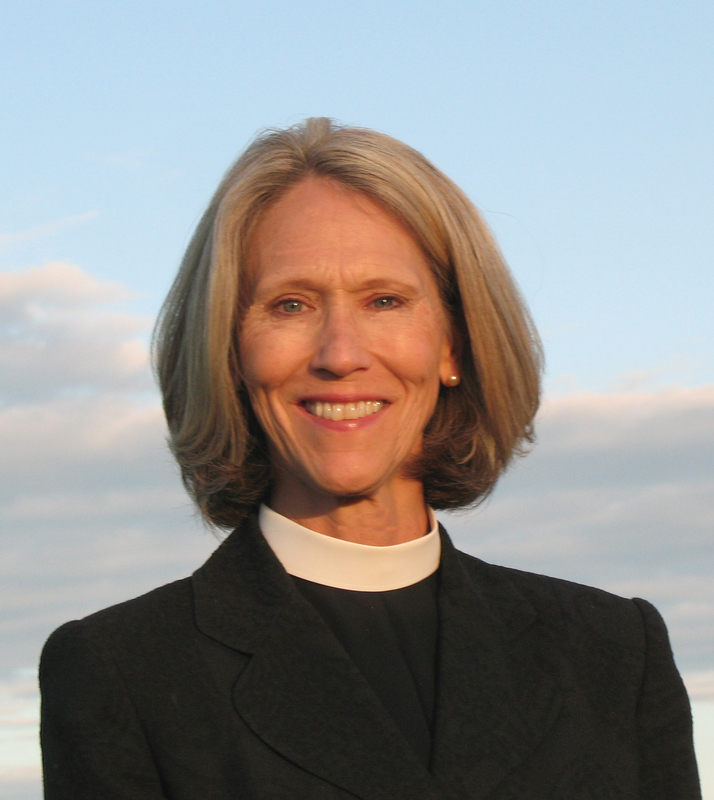 Cathy is an Episcopal priest and the author of You Are Already Praying: Stories of God at Work – a collection of stories about people from all walks of life who have come to see their work as prayer. I’m lucky enough to know Cathy in person, since she is a member of our Collegeville Institute Seminar on vocation and profession, so I have gotten to admire up close her passion for helping people see their work as prayer. I hope Cathy’s book and her wise thoughts below will help you to see the way we spend most of our time – at work – as prayer, too. 1) What is one truth about time you have learned since becoming a parent? Time passes quickly. It doesn’t feel like it when we sit in the dentist’ s chair, or our days are dedicated to the care of a child’s needs, but it is fleeting. A child is no sooner born, than done nursing, and out of diapers and walking into kindergarten. Being in the present moment, as fully as possible, is the one truth that I find worth practicing, day in and day out. Its fruits are abundant. 2) What is one practice of using time well that you have developed as a mother-writer? Not waiting for the perfect time. Rather, stopping to ask myself if I really need to do this (email, phone call, laundry, cooking, etc.) or could it wait so that I could seize the time to write or read? Setting expectations for myself that are reasonable and that don’t discourage me but take into account all that is on my plate that no one else might notice or acknowledge. Remembering that it is good for my children to see me at work on my work. It does not diminish my devotion to them, but shows them my whole life. Letting go of writing goals when I was immersed in nursing, napping, feeding a child when the exhaustion was too depleting to expect myself to also be creative and instead to use writing as a joyful getaway, as a time to write, or vent in a journal for the joy of it and not expect myself to produce during a chapter of my life when I was already being productive. 3) What new insight about faith did you gain from writing this book? I wrote the book because I wanted to encourage people of faith to see their whole lives as an opportunity for prayer. I learned, from those who shared their stories, and from those who are reading the book, that it is a message people need to hear. Reading themselves into the stories of a mother at prayer, or a realtor, or painter, their lives open up before them as ceaseless moments to be in the presence of God in the tasks, work, play and challenges that make up any given day. I learned that we all want to be whole, to have a center to ourselves and our days that everything else revolves around, like the spokes of a wheel that move from the center hub. God is the hub of our life, and there is not a place in our day that God wants to be locked out of. How we pray in church informs the prayer that goes on unceasingly in us as we leave church. It does not lessen the vitality and importance of our prayer life in quiet, or in Scripture, our living prayer becomes an expression for our faith. 4) What is your favorite way to spend time with your family? Laughing and relaxing. I love to be with my family when we are laughing at each other, ourselves, or something funny. I love when we are watching a Sunday afternoon game on television, making a meal, folding laundry, and we are in comfortable clothes and enjoying the company of each other. Your turn to win! 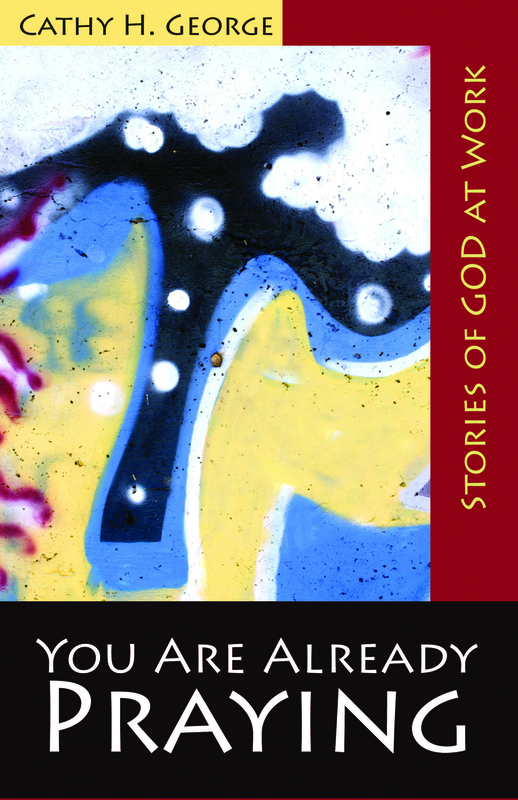 Cathy has generously offered one copy of You Are Already Praying: Stories of God at Work for a reader of Mothering Spirit. To enter the giveaway, leave a comment below before midnight (CST) on Saturday, July 27th. And to learn more about Cathy’s book and work, check out this in-depth interview she did with our staff at the Collegeville Institute! Love the perspective she is offering through her book…how prayer is something that really intertwines throughout our day, no matter what we are doing. Would love to win this book! So glad this spoke to you, Stephanie. I love this integrated, organic perspective on prayer, too. I love this interview, and I’d love to read your words on mothering as prayer! This blog is a blessing and I’m sure this book is as well. I am a new mom, and young in my faith and I would love to win this book. Thank you so much for your kind words, Maria. Blessings on your new family & journey of faith. Another excellent reflection in this series! I especially loved Cathy’s comment on giving herself a break and writing “for the joy of it and not expect myself to produce during a chapter of my life when I was already being productive.” I think it’s hard as mothers to see the rearing of children as being productive sometimes, when there are many other things around us we feel need to get done. She put it beautifully, and I’m going to hold onto that phrase, as I know I will need it sometimes 🙂 I also think her book sounds fantastic. It’s amazing how even in a career of ministry for the Church work can still feel like work and we lose sight of the prayerfulness of it. Thanks for the great interview, and what sounds like a fantastic book! Thanks, Kateri! That was my favorite part of Cathy’s response, too. There’s wisdom for all of us there: productivity and creativity have many different faces in different phases of our life. This sounds like an excellent book. I would love to read it! Thanks for stopping by, FranciscanMom! I really liked her answer to #2 — so true. I’d love a chance to win the book! Isn’t that great, Ginny? I loved her wisdom on using time well – I have a lot to learn from this perspective. There’s productivity all around me; it’s just not always lined up with my expectations. Love this, Val – thinking outside the box to see our lives as prayer. Because, really, we construct those boxes ourselves – God sees in a much wider view, beyond our categories and understanding! One of the weirdest “gifts” to me is that — even though I am this model-citizen-Sunday-School-teacher-Christian-Ed.-fanatic-wannabe-eventually-pastor and you would never ever know it — I didn’t really grow up in a Christian family or in church (I’m resolutely Reformed — a Presbyterian — now, but grew up as a “Christmas/Easter/Grandma’s visiting” Roman Catholic and actually have most of my sacraments in the Catholic Church…even though we didn’t go much). I do all sorts of things folks who grew up in church don’t do because I didn’t know better until it was too late (e.g., read the Old Testament beyond the “Bible Stories” and Psalms to a level of depth and understanding). That said, I don’t run my Sunday School class (3-5 y/o children’s worship service) like a proper “churchy” Sunday School class should be. I have little use for indoctrinating small children how to do something like pray (“We close our eyes, we fold our hands, our feet are very still…”) but great use for discussing why we pray (and challenging them to make it meaningful). Same deal with a Bible Study I attend where everyone in the room (but me) is AARP — they have all the “Sunday School answers” down, but whether they have their own answers remains questionable. I’ve always had an opinionated answer for everything — I have “my own” answer. Our Creator was greatly creative in creating us and giving creative faculties and abilities, are we offering him our best with the same tired form letter? Humanity was created for worship and stewardship: we have work to do, can’t we offer our work as worship and prayer? Ad maiorem, Dei gloriam or perhaps Soli Deo Gloria? Why do I have to do things “just so” to be prayerful? The header on the St. Val the Eccentric blog is one of many photos taken on days when I ran away from the city to be quiet with God in some place of great nature. When I garden, bake, knit, take care of kiddos or critters — and especially when I write — can’t that be prayerful? Do I need words for prayer and worship or is being quietly overwhelmed in my loveand gratitude for God — toward God — in silence with all the deep love that would be conveyed to a very dear friend in a very goid hug enough? Do I need to be quietly sitting, kneeling in one place…or can I just take the dog for a long walk and pray all along the way? What about listening prayer when I am silent and open to let the Holy Spirit do the talking while I listen? What prayer can be can be (and how to pray) can be a lot of things, but the one thing it must be is a meaningful and heart-level dialogue between us and God. I’ve found Ignatian Spirituality and Renovaré to be helpful with this. I love this series! What a wonderful way to capture concrete decisions individuals make about spending their time, which is, of course, also as big a statement about what we value as any. Wonderful. Thank you, Lindsey! I’m so glad you’re enjoying this series – I have found it to be full of wisdom on the concrete choices we make to live mindfully. Which, as you say, speaks louder than anything else we claim to profess. I was thinking about this post — and our exchange above — last night on my way home on public transit in L.A. Thinking outside the box? You bet. Haven’t written about it yet, but last night a friend and I enjoyed an evening at the Hollywood Bowl. The concert? The L.A. Phil., Gustavo Dudamel (wonderful conductor, but they should start all concerts ten minutes early to compensate for jacket adjusting and hair flipping between movements — think batting glove adjustments at a baseball game), the Los Angeles Master Chorale, and four wonderful opera singers to perform…the Verdi Requiem. The Verdi Requiem is not like Mozart, not like Bach. Requiem is translated from Latin as “eternal rest.” But see, the thing about Verdi’s Requiem is that it doesn’t even pretend to want to fit in the box of “sacred” music — the format used is…operatic. No staging and theatrics, so arguably it’s not an opera but an oratorio (think Handel’sMessiah). The libretto IS the Requiem Mass — the funeral mass. The whole thing has three main ideas — praising and worshipping God and Christ, petitioning for grace for eternal rest after death (requiem), and petitioning for mercy against ending up in hell at the Final Judgment. And when Final Judgment is the topic, it sounds like hell has come to take you…NOW. It’s a powerful piece — like an opera set at the end of the world. And while many there last night may love it for purely secular reasons, what struck me as I sat in the dark last night, tucked in the Hollywood hills, as the fog drifted in, is that the words drifting on that fog…were prayer. Whether the people singing those words felt it or not, they were words of prayer. Whether or not the words were being prayed could be debated, but that they were a prayer by their text is pretty obvous. It was a weird moment to think about this…prayer, outside the box indeed.